Acting as a lobbying group for veterans. Advising, assisting and guiding veterans who require assistance. The Veterans Party has been formed by Veterans with the main aim of lobbying Government regarding issuesconcerning Veterans and their families. The Veterans Party believe various governments and political parties have made choices and adopted policies that have disadvantaged Veterans and their families. We will work ceaselessly to right that wrong. The Veterans Party believe the Armed Forces Covenant must be a stronger document not just fine words with little action attached to it. We will work ceaselessly to right that wrong. The Veterans Party Policies and aim’s are set out fully on our policy page. Membership will be open to all Veterans and their families. The Veterans Party’s policies are clear, concise and The Veterans Party management will be representative and inclusive of all Veterans. The Veterans party was formed to lobby government for veteran’s rights and to fight for recognition of the wider veteran’s community. In time The Veterans Party will offer candidates to be elected as members of parliament. In the fullness of time we intend to transform the Veterans Party into a fully fledged political party to restore pride and honour in the country we all served to defend. “ A Veteran includes all who have served in the United Kingdom Armed Forces, both regular and Reserve, who have served for a minimum of one day, as well as those Civilians who have served alongside military units, both at home and abroad. The status of Veteran is also to include members of the Merchant Navy, including the Royal Fleet Auxiliary, widows/widowers and dependants of all in the Veterans Community”. Full veteran status is also to be conferred on all those from around the world who have chosen to serve in HM Armed Forces, as well as their families and dependents, including the right of abode in the United Kingdom. If a person has taken the oath of allegiance to Her Majesty and has been prepared to fight for the United Kingdom they must be recognised and permitted to live in the UK. 2. Military Pensions – Re-align the military pension to the Retail Price Index and not the Consumer Price Index which fails to take account of housing needs and costs. We will also lobby the Government to ensure full pension rights for all “War Widows”, with the proviso that should they re-marry, the pension will not cease or be reduced. 3. Medical/Health – The right of ALL injured Veterans to receive priority medical treatment throughout their lifetime. To include priority treatment with updated technology and cutting edge prosthetic limbs. It is widely accepted that the symptoms of some illnesses and disorders may take many years to manifest themselves, to this end we will lobby the Government to ensure that the National Health Service recognises this situation and Veterans can register their status with medical providers to ensure they receive priority treatment, should they require this in the future. 4. Convoys to Russia in WW2 – The Government must ensure that those who took part in the “Convoys to Russia” during the Second World War, are fully recognised for their service in this theatre with a separate campaign medal for service in the Arctic. Successive Government have failed to recognise these brave men and women, yet the Government of Russia has, on two occasions’ conferred medals and awards on this group. A third award from the Russian Government has recently been blocked by the British Government, this lack of recognition is shameful. 5. Armed Forces Covenant – We will lobby the Government to ensure that this document is written in a way which clearly sets out the benefits to Veterans, as well as the clear responsibilities of all departments of National Government who deal with Veterans, including the National Health Service and all local Authorities. Further to this, we will ensure that the Government liaises with ALL local authorities to advertise the Armed Forces Covenant as well as other news pertinent to Veterans in Libraries, Health Centres and other areas where the public have access. 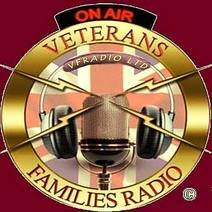 This is to ensure that as many veterans as possible receive up to date news of benefits and services. 6. Military Impostors- Make it a criminal offence for any person to wear military uniform, badges, insignia and medals to which they are not entitled. Furthermore, we intend to Lobby for any person who commits these offences to receive a heavy fine and or, a custodial sentence, especially if the wearing of military uniform, badges, insignia or medals is done to deceive the public, or commit a criminal act. 7. Armed Forces Day – This annual event was first introduced in 2007 as “Veterans Day”, the aim was to ensure the contribution of Veterans were never forgotten. In 2009 this event was changed to Armed Forces Day, to raise awareness and appreciation for those on active duty. The Veterans Party will lobby the Government to change the name of this annual event to reflect the service of Veterans, whilst raising awareness of those still serving. Furthermore, we will lobby to have this day made a Public Holiday.